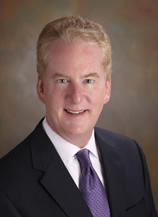 MEMPHIS, TN – August 27, 2013- Glankler Brown, PLLC is pleased to announce that Robert D. Meyers has joined the firm as a Member. Mr. Meyers is certified as a Civil Trial Specialist by the Tennessee Commission on Continuing Legal Education and Specialization and the National Board of Trial Advocacy. “Robert brings a wealth of labor and employment law experience to the firm as well as an attitude of public service, as demonstrated by his work on the Shelby County Election Commission. We are pleased to have him as a member,” said Glankler Brown’s Chief Manager Bill Bradley. At a height of 6’7”, Mr. Meyers stands tall for his clients. He has a breadth of employment litigation experience, and has defended companies and individuals before courts in Tennessee, Mississippi, Arkansas, Alabama, Texas, Georgia, Louisiana, Indiana and Virginia. He has been instrumental in assisting clients in dealing with employee medical issues including ADA, FMLA and workers’ compensation concerns. Mr. Meyers also has extensive experience representing public employers in claims brought under the Title VII, § 1981 and § 1983. He is Chairman of the Shelby County Election Commission and a Peer Reviewer for “America Votes! A Guide to Modern Election Law and Voting Rights,” Second Edition 2012, ABA Section of State and Local Government Law. Best Lawyers in America™ recently named Mr. Meyers Memphis Municipal Litigation Lawyer of the Year.